This heart shape glass container filled with Trinity Soy Blended Wax is a real treat. 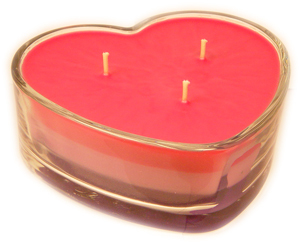 This Heart Candle is a great gift for Valentines Day or Mothers Day. Buy Now! Only [stock] left in stock.